I have the honor of being the MOH (that's Maid of Honor for non-wedding-geeks) in my Besties' upcoming wedding, so I was excited to co-host their engagement party a few month ago. 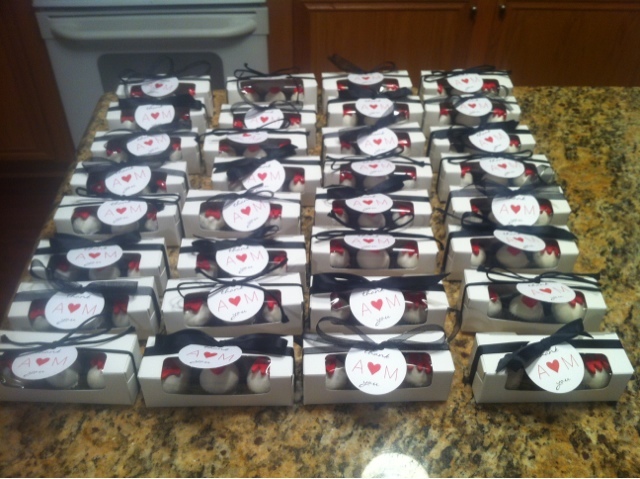 Finally getting around to posting pics of the cake ball party favors I made! 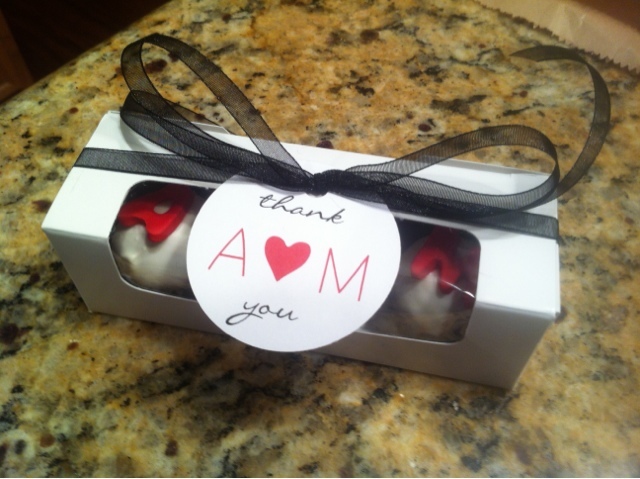 These matched the monogram design I used on the invitations and party decor. Loved them! 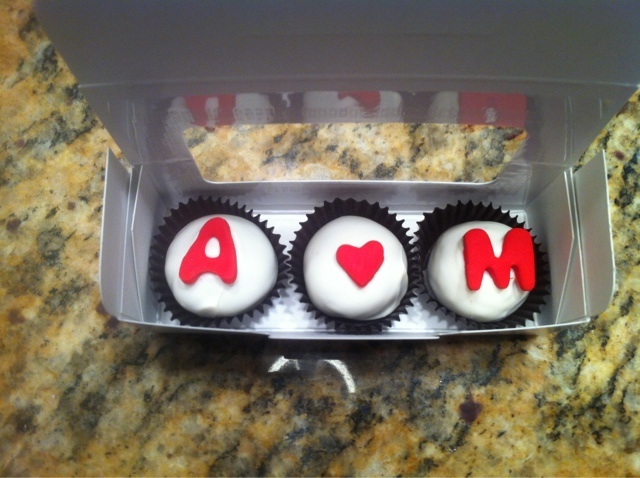 0 comments on "Monogram Cake Balls"
Hi there! Thanks for visiting my blog. Here you'll find photos of cakes, cupcakes, cakeballs and other assorted confections hand-made by me! Enjoy!